4-5 Polyps of Pink Zippers. One of my all time favorite. An amazing splash of pink, purple and light blue. You’ll get 2 frags at least 2inches each. This main pic is under blue lights. 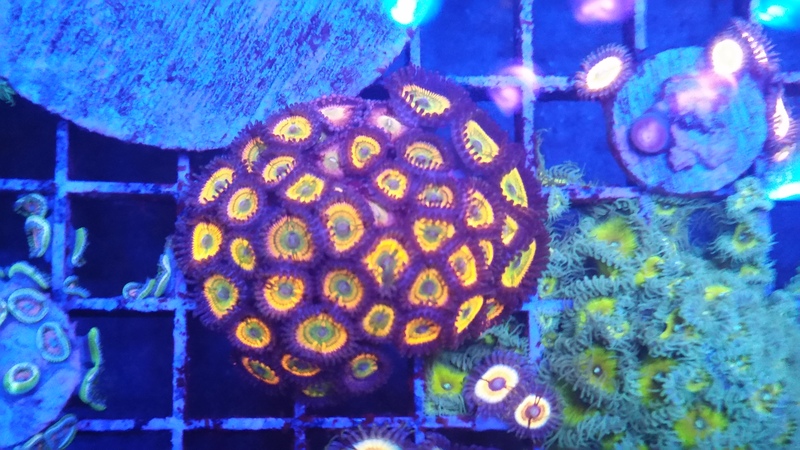 WYSIWYG 40-50 polyps. Needing to clear out space so these are priced to move. WYSIWYG. Single polyp with a baby underneath. WYSIWYG. The whole colony and whatever it's attached to. Standard egg crate for size reference. These were sold to me as red people eater wannabes and woodstock hippies. WYSIWYG. 25 to 30 red palys and 5 or so woodstock hippies. 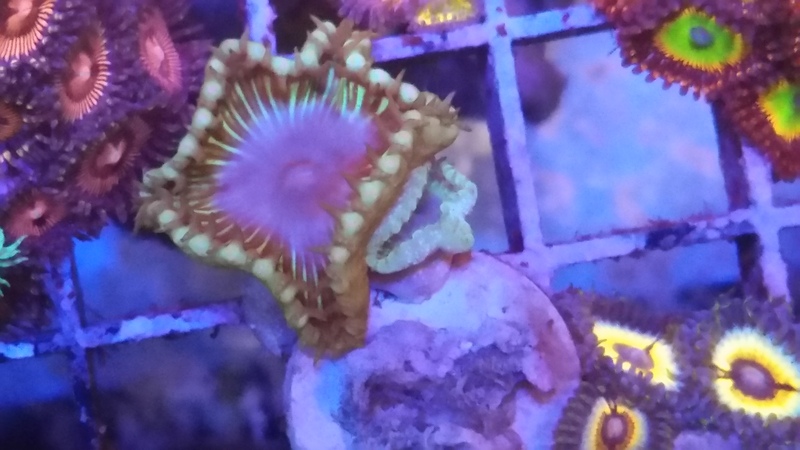 It's in a location in my tank that is hard to get a pic of but the frag pictured came from it a few months ago. Colony is 8-9"+ around. 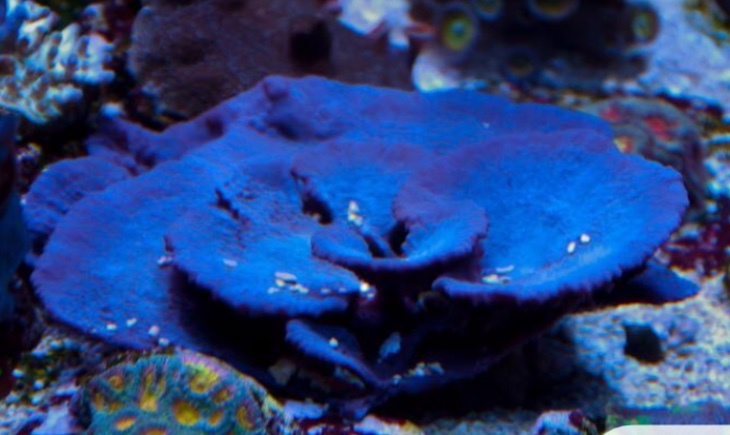 Great show size piece to showcase in any medium to larger tank or frag and spread around to your friends. WYSIWYG. 2.5"+ piece. Good looking and easy to care for. 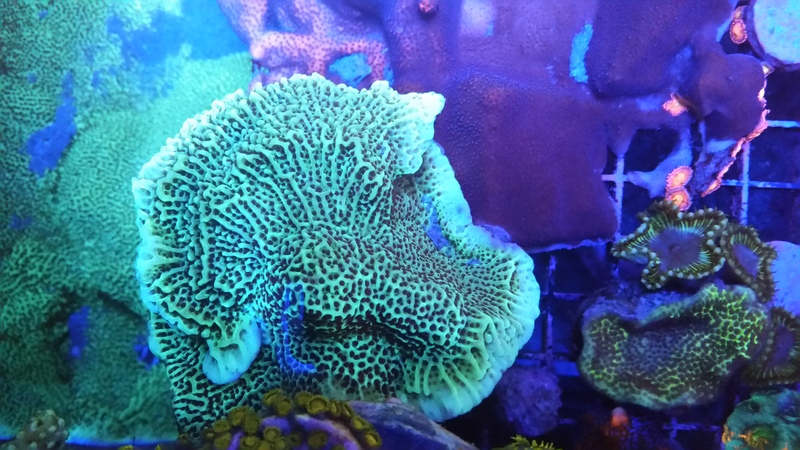 Great beginner SPS. 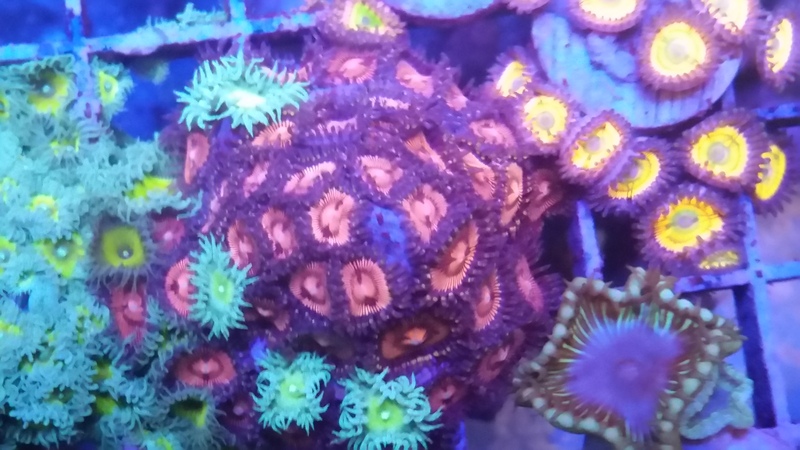 2 heads of this amazing easy to keep Duncan. 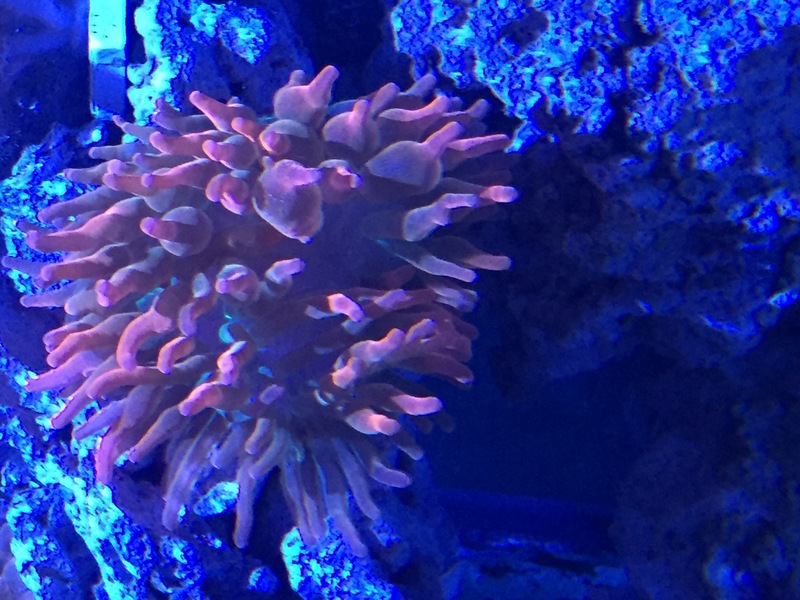 This coral has grown great for me in all kinds of light intensity with medium flow. 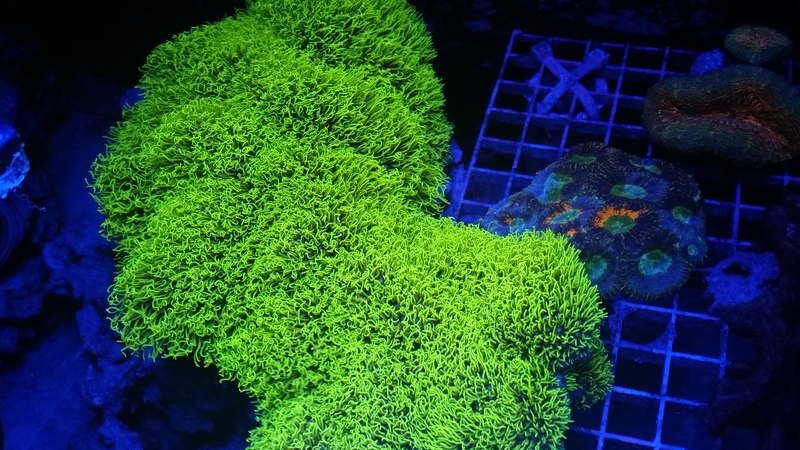 1.5” Frag of frogskin acropora. What You See Is What You Get. 6-10 Polyps of Fire and Ice. 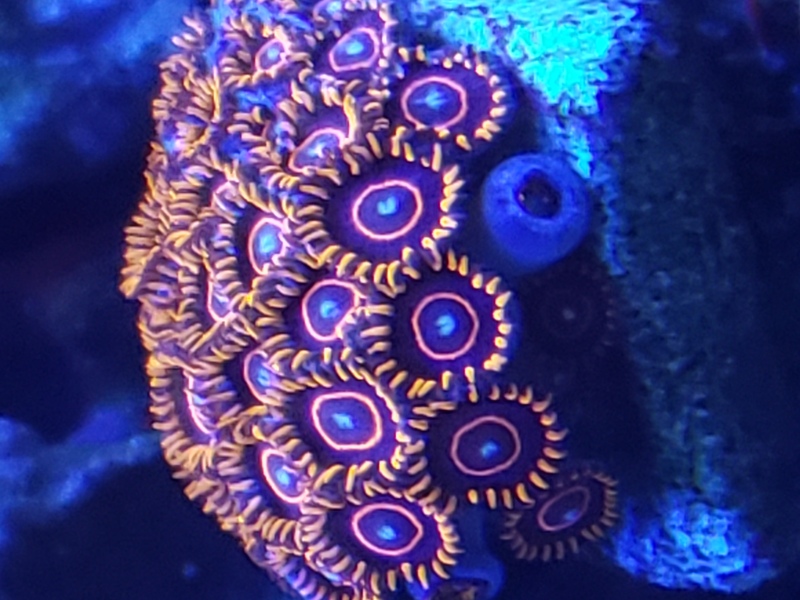 An old classic Zoa with amazing color contrast. 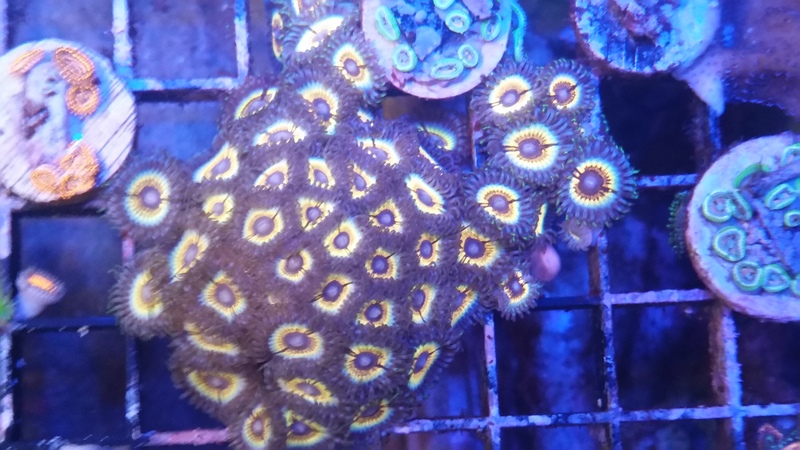 3/4”-1” Frags of this beautiful Teal/Blue Acropora. One of the most unusual growth patterns of any Acropora. 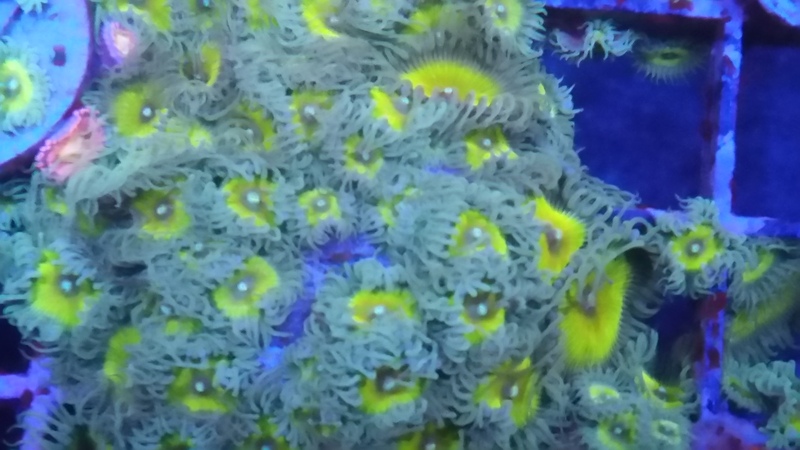 1.25” Frag of WWC Yellow Tips. This has developed a light blue and purple base with yellow tips.